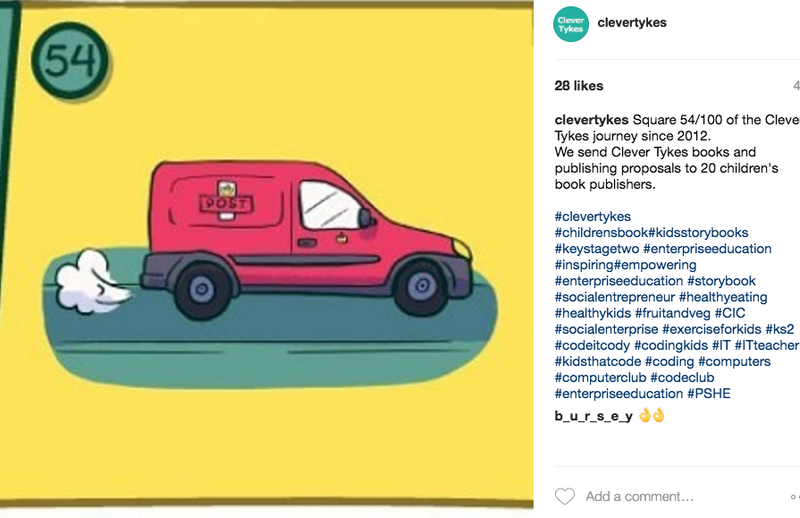 This month has been a successful one for Clever Tykes' social media with strong progression on Facebook, Twitter & Instagram. 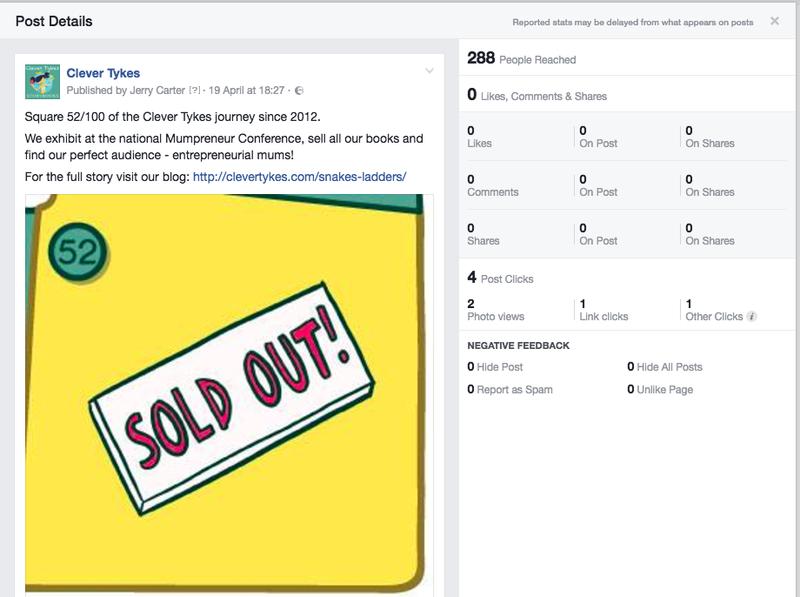 We've shared a variety of content appealing to teachers and parents, generating good levels of interaction and qualified web traffic leading to sales of storybooks and resources. We pinned the digital enterprise pack promoted post, which led to good organic engagement levels. 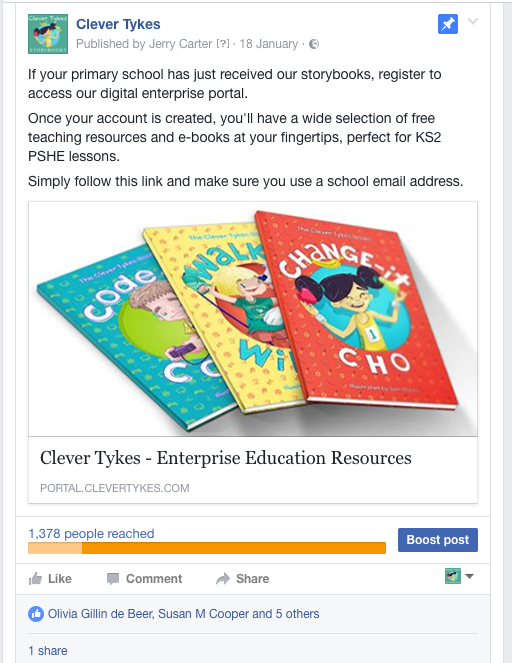 The post reached 1378 people in less than 24 hours and generated engagement from primary school teachers. 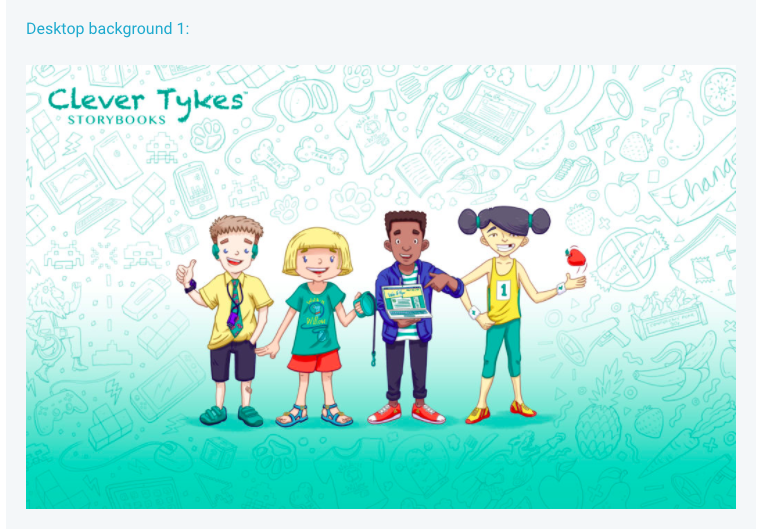 A blog post and subsequent social media posts about the Clever Tykes desktop backgrounds led to over 2000 page views. We emailed all of the schools on the portal to let them know they had arrived. On average the Clever Tykes Twitter account earned 2 link clicks, 2 retweets and 4 likes per day in April. Due to some high-performing content in March, tweet impressions have decreased very slightly this month, but remain above February's stats and profile visits have stayed in line with last month's stats. 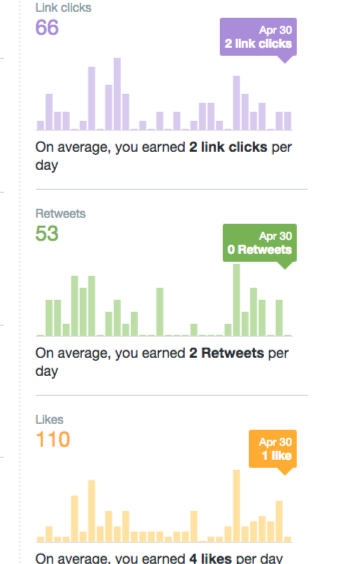 On average the account earned 2 link clicks, 2 retweets and 4 likes per day throughout April. 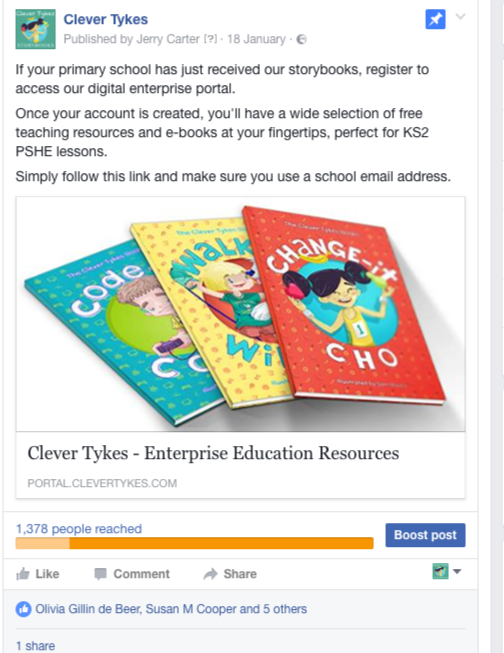 In April, we interacted with a large number of schools, teachers and parents to spread the word about Clever Tykes and the digital enterprise portal. As you can see from the screenshots below, some of these interactions earned significant impressions and profile visits. We actively interacted with 80 people in April. 39 people (48.75%) responded in some way, either by liking our tweet, retweeting us or replying, which is an excellent response rate. On Twitter, we continue to follow primary school teachers and sector influencers. By periodically unfollowing accounts that do not follow back, we're able to keep our follow:follower ratio very positive. We consistently schedule value-adding content that will appeal to teachers and parents, alongside self-promotional content where we encourage people to sign up to the portal and read our Clever Tykes blogs. We continue to find and follow primary school teachers. 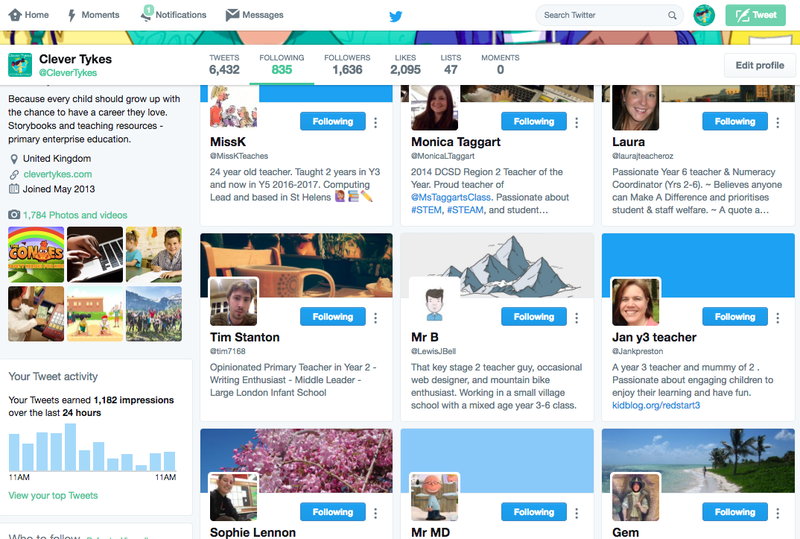 Here are some of the primary school teacher Twitter accounts followed. This shows a range of primary school teachers that we followed. Tweets from the account earned 33.9k impressions over the 30 days in April. Our goal for May is to hit 50k impressions. The top media tweet was a value-adding tweet. It earned 922 impressions. This tweet about Jodie's TEDx talk earned 1621 impressions and 13 engagements, including 5 likes and 2 retweets. This content about behaviour made 400 impressions, gaining 4 link clicks. This interaction earned 4 details expands, 4 profile clicks and 3 likes. 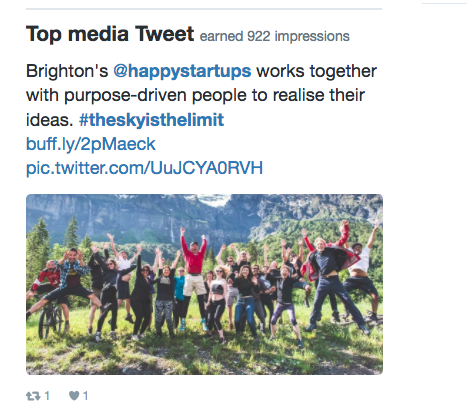 This piece of value-adding content earned 6 link clicks, 2 likes and 1 retweet. 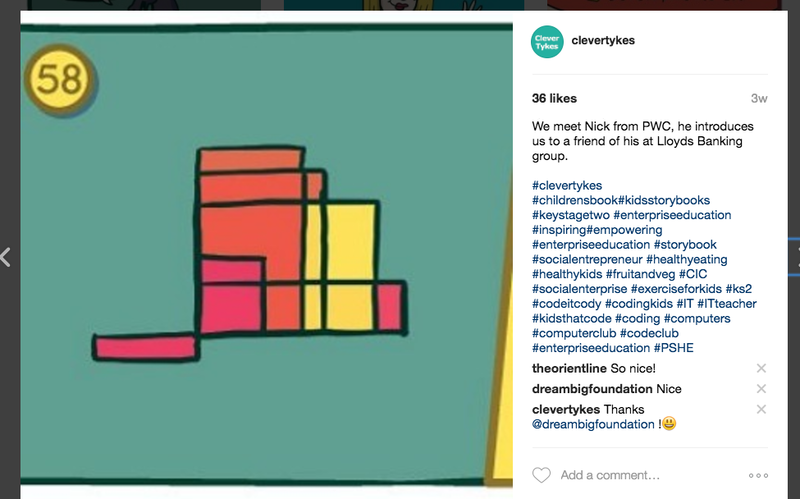 On Instagram, we continued to share the snakes & ladders squares to tell the story of Clever Tykes, helping to build the brand and educate our audience. We also responded to mummy bloggers who had reviewed the books, thanking them for their pictures. Incorporate some different style images into the Instagram page - pictures of children enjoying the books, etc. I know we have some saved courtesy of collaborators sending them, so we could look at sharing those. Incorporate some of the suggestions we have received from pupils for new books, including Write-it Woody and Dance-it Donna! Square 54 of the snakes & ladders content was liked 28 times by Instagram fans. Square 58 was liked 36 times and received 2 comments. 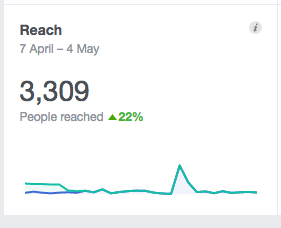 The Clever Tykes Facebook page performed very well in April. We shared a mixture of self-promotional and value-adding content. Facebook reach increased by 22% in April. There was a significant peak in reach stats when we released a post about co-founder Jodie's appearance at TEDx. 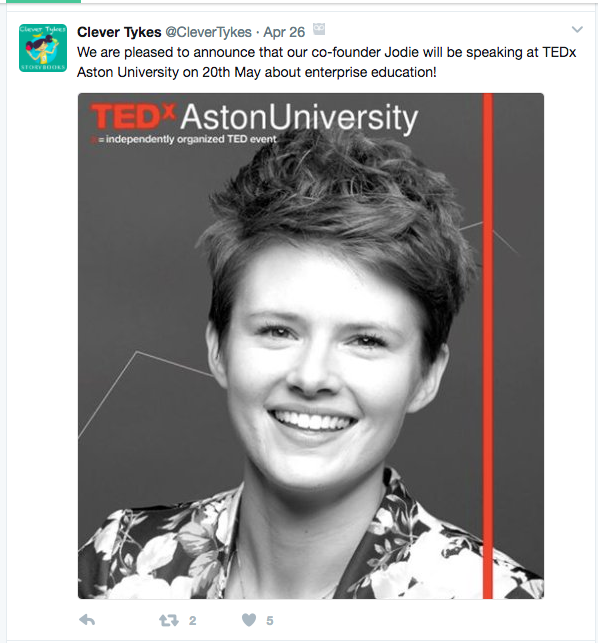 This post about Jodie's upcoming talk at TEDx Aston University reached 1,575 people organically. It gained 48 likes and comments. 109 people clicked on the post. We updated the Facebook page header in April with one of the new Clever Tykes desktop wallpapers. In May, I would like to run another self-promotional post about the portal and allocate some of the advertising budget to it. In addition, we could look at sharing a couple of the timeless blogs from the website and promoting those to primary school teachers. Digital enterprise pack promoted post, engagement levels were good and it reached 1378 people in less than 24 hours. 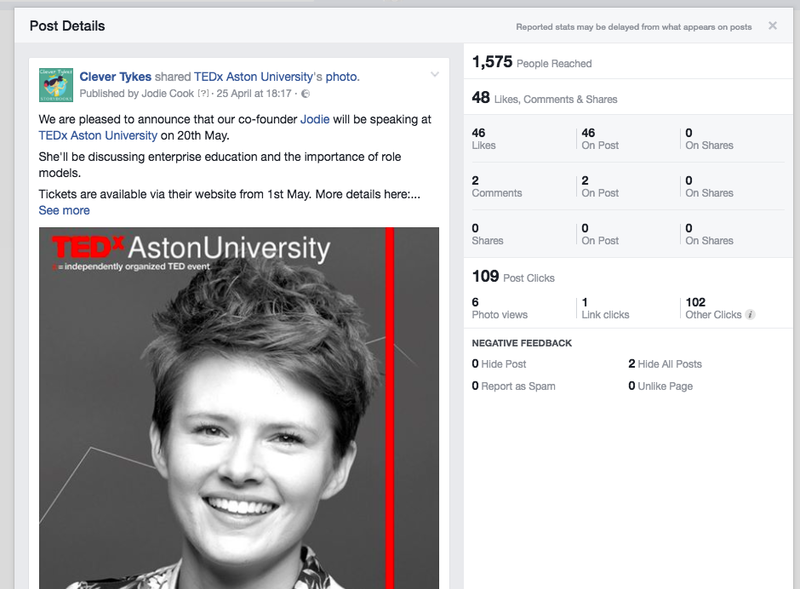 This post about Jodie speaking at Tedx Aston University reached 1,575 people organically. It gained 48 likes and comments. 109 people clicked on the post. Facebook reach increased by 22% in April. There was high peak in reach stats when we released a post about Jodie's appearance at TEDx. This snakes & ladders post reached 288 people organically. It gained 4 post clicks, 2 photo views and 1 link click. 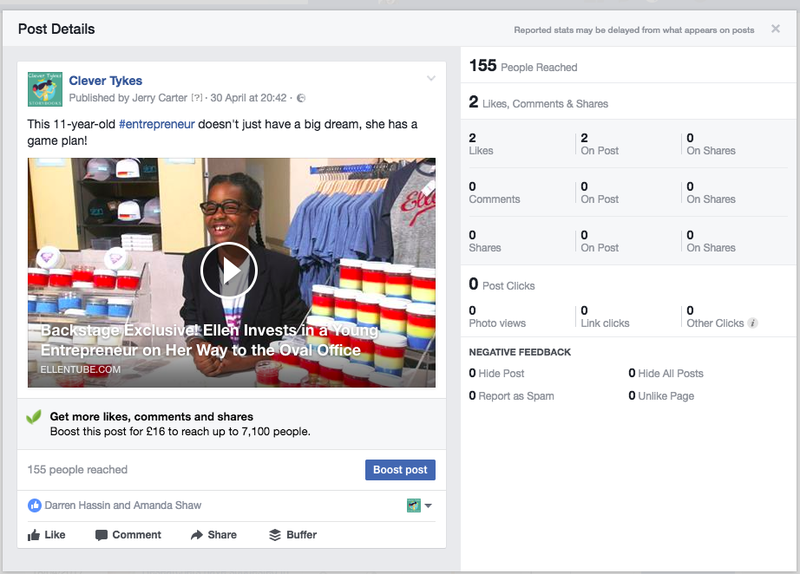 This piece of value-adding content about a child entrepreneur reached 155 people organically and gained 2 likes. 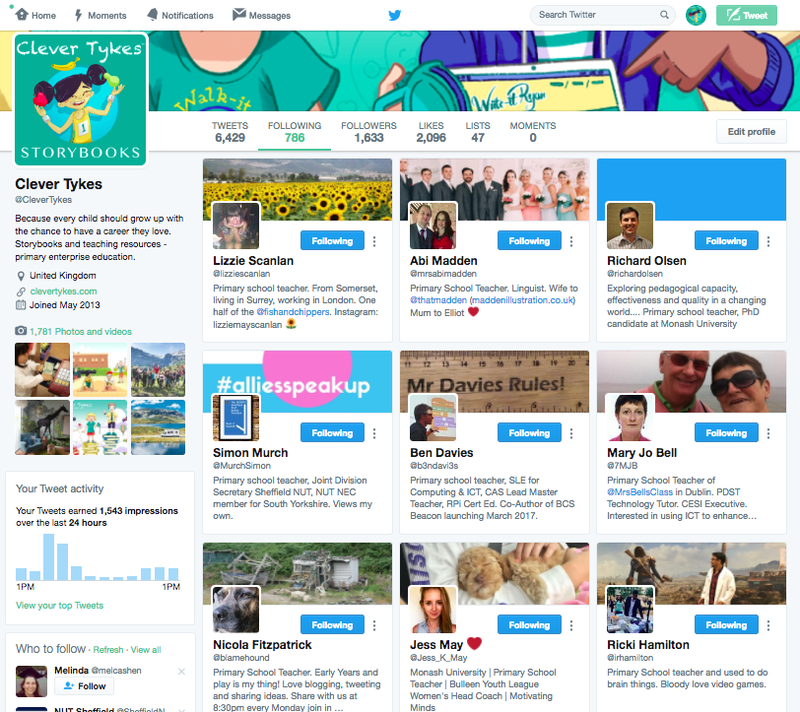 In April, we used the new Clever Tykes desktop backgrounds as headers for the social media accounts. In addition, we used the desktop backgrounds blog post as self-promotional content on social media. This has contributed to the pages having a far more professional and engaging feel whilst bringing the characters to life. The new desktop backgrounds were added as a blog post and sent to all schools using the enterprise portal. The page received over 2000 views. 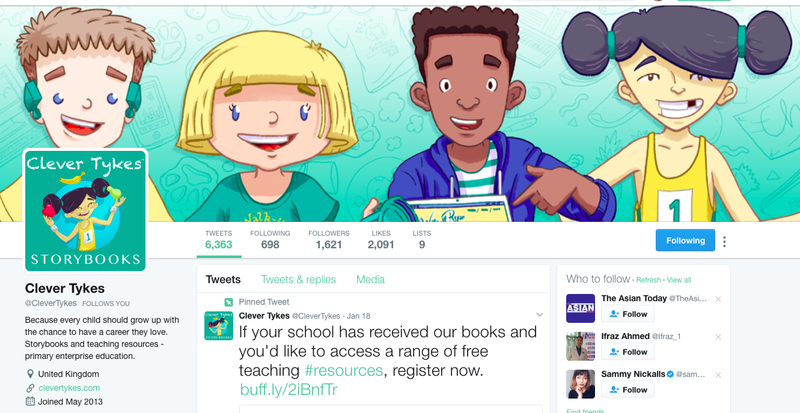 Clever Tykes' illustrator created a new banner image for Twitter which we uploaded to the platform. We also added the new banner image to Facebook. The statistics from the school enterprise portal have improved dramatically. Social media activity has supported a very effective email marketing campaign to schools which has seen portal sign-ups more than double during April. 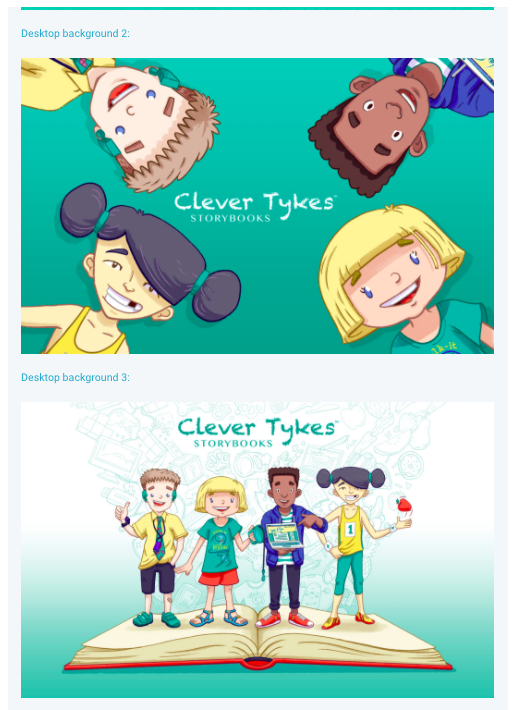 The statistics for the Clever Tykes enterprise portal update automatically as primary schools register at portal.clevertykes.com. The digital enterprise portal has now been enjoyed by nearly 50,000 primary school children in the UK.